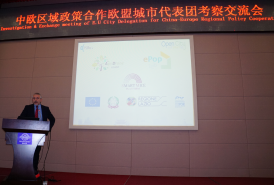 An EU City Delegation conducted a working visit to Chinese pilot cities Yantai and Kunming during 27th to 30th November. Based on previous working visits and communication of both Chinese and EU city delegations this year, this mission in November aims to follow up on the results out of the initial exchanges regarding the potential cooperating areas and carry out more concrete cooperation. The EU Delegation was led by city council representatives from Granada(Spain), Rome(Italy), Nice(France) and consisted of Italian business representatives in the field of high-end medical technology, smart agriculture, block-chain, tourism and etc. 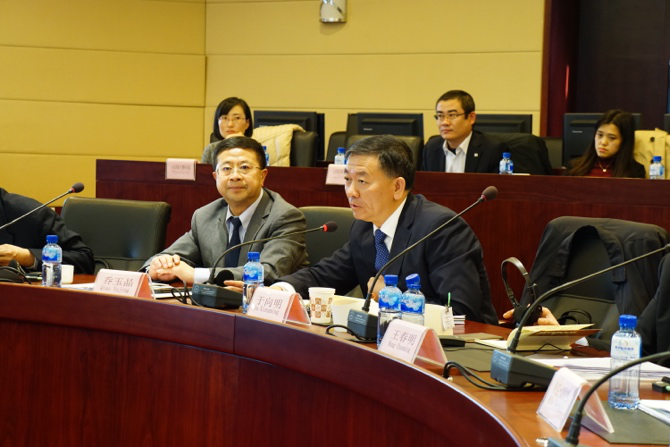 This one-week mission included meetings and visits in Chinese pilot cities Yantai and Kunming, during which political meetings, field visits and experience exchanges with industrial parks, research institutions and related official departments were arranged. 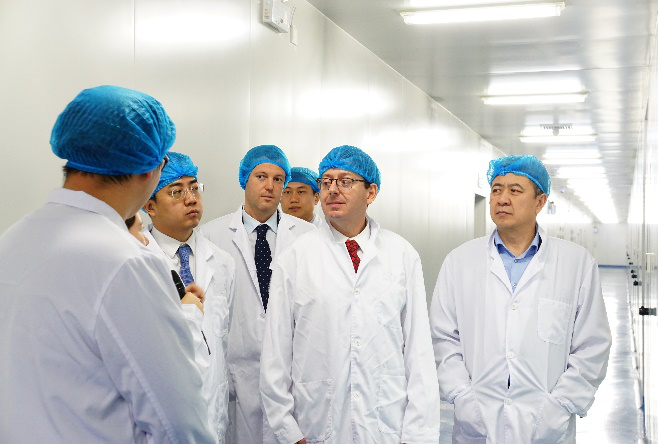 In the two-day program in Yantai, the EU City Delegation conducted working visits to Changyu Wine Culture Museum, E-Commerce Industrial Park, Shandong International Biotechnology Park and etc. to have a further understanding of local development in bio medicine, e-commerce and health care. The potential of cooperation in education, sports industry, energy, tourism and smart cities were also discussed in the political meeting with the local government and the workshop with relevant government agencies, as well as local institutions and businesses. 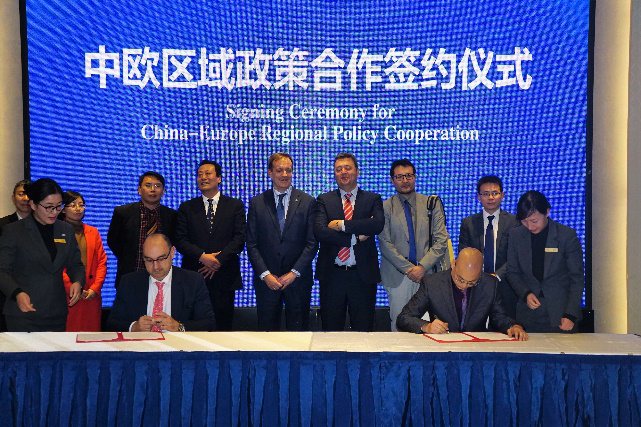 During the workshop with Yantai government and business representatives, a MoU was signed between the IoT Smart City Lab of Rome and the Tencent Cloud (Yantai) Innovation Base to shows willingness from both sides to seek cooperation in the areas of smart tourism and smart city technology exchange and transfer. 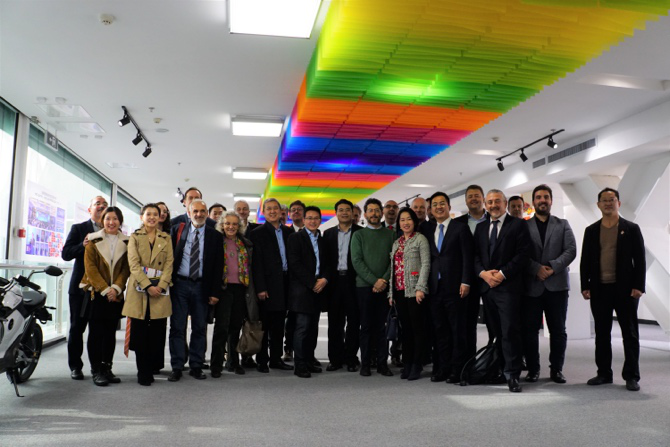 In the two-day programme in Kunming, the EU city delegation conducted field visits to Cloud Town information incubation platform/park, Yunnan Ancient Town Medical and Nursing Demonstration Zone and Kunming University to share and know about local city development in the field of pharmaceutical, health-care, sports and tourism. Meetings were held with government officials and business representatives to discuss about concrete cooperation on health-care, pharmaceutical, modern and smart agriculture, information technology, tourism and etc. Targeted follow-up communication will be conducted with each pilot city, to sort out the feasible areas of cooperation and collect feedback through the exchanges. Stakeholders to be involved in any concrete project will be identified, including but not limited to the other government agencies aside from DRC, research institutions and companies. 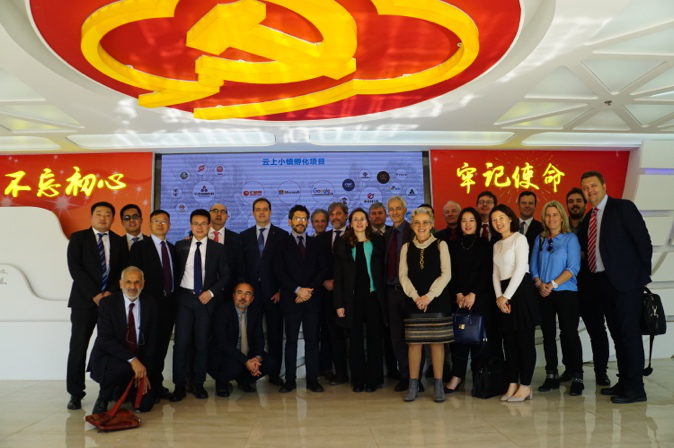 Initial cooperation proposal for concrete projects will be designed, especially: the Kunming health forum 2019, Kunming Ciba Bio Technology Town, China-Italian Smart Technology Industrial Park. Local Action Plans especially for Yantai and Kunming will be updated with input contribution from clusters and methodology task-force experts.